This is a photo taken on May 10, 2000. 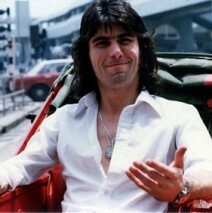 It was taken at an auction of some of Cozy Powell’s personal effects. 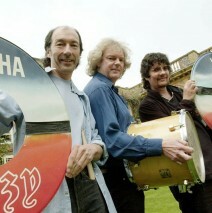 In picture L-R: Denny Ball, Neil Murray, Don Airey. 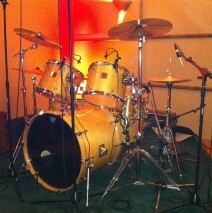 This is one of Cozy’s drum kits that sits in the studio at Tony Iommi’s house. The picture was taken on June 28th, 2011. This is the same drum kit that was used when Vinny Appice had to record the three new tracks for the 2006 compilation, “Black Sabbath: The Dio Years”. It was done rather in a hurry, which is why Vinny used Cozy’s kit here as opposed to his own equipment. This is a picture taken at a time and place that are totally unknown. Nice picture, though.